OPTI Kettlebells | The Very BEST in Maryland Kettlebell Training! Welcome to OPTI Group Performance Training! 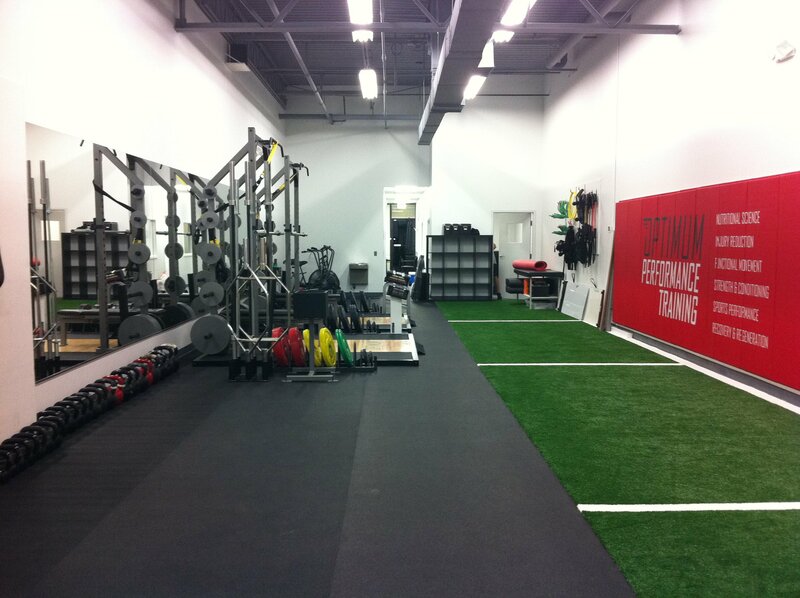 We are located within Optimum Performance Training Institute, which is a unique and elite training facility in Columbia, MD specializing in sports performance, fat loss, nutrition, rehab, functional movement and of course-kettlebell training! Kettlebell training is a fantastic way to develop mobility, resilience, core strength, fat loss, strength and power. You will get into better shape than you ever imagined by attending our classes. Our endurance athletes are running faster, martial artists fighting harder and longer, and busy professionals are blasting through their day with added stamina and strength. Kettlebell training is for EVERYONE. From the overweight and sedentary individual, to the new mom looking to lose fat or the athlete wanting to increase power and performance. The key is having the right coach and a supportive environment. There is no other program like ours in the area. Besides our high level of professional education and unparalleled experience, we boast the only StrongFirst Team Leader in the state of Maryland. As kettlebells gain popularity in the states, despite their ancient history, many trainers are beginning to incorporate them into their programs. However, it’s important to be sure that YOUR instructor is properly educated and experienced. All of our instructors have endured rigorous training and continuing education in not only kettlebells, but all things strength and conditioning. Our group training is not merely a “kettlebell class.” We teach you proper body mechanics and how to correct movement patterns, while getting you strong, powerful and lean. Because we are certified and very well educated in the Functional Movement Screen and it’s strategies, we are able to identify weak links and imbalances in your body, and assist you in reducing pain and the risk of injury. We teach you solid concepts in strength and conditioning and nutrition in order to better your quality of life at the deepest levels. We take immense pride in our ability to provide one on one attention and instruction, therefore we do not allow more than 10 students per class. This intimate environment allows our students to truly excel. We also adamantly require each and every student to participate in our Intro Program prior to attending our all levels classes. This allows us to teach you the fundamentals of movement and kettlebell training, ensuring that your experience with us will be safe and effective. You may be attracted initially to groups that allow you to jump in and follow along, but ultimately you will miss out on the quality you deserve and you may even get hurt. A full Functional Movement Screen and the corrective strategies necessary to improve dysfunction and imbalances in movement patterns. Two private training sessions with one of the foremost fitness experts in the state. One month’s attendance to our beginner KB classes and metabolic conditioning classes.